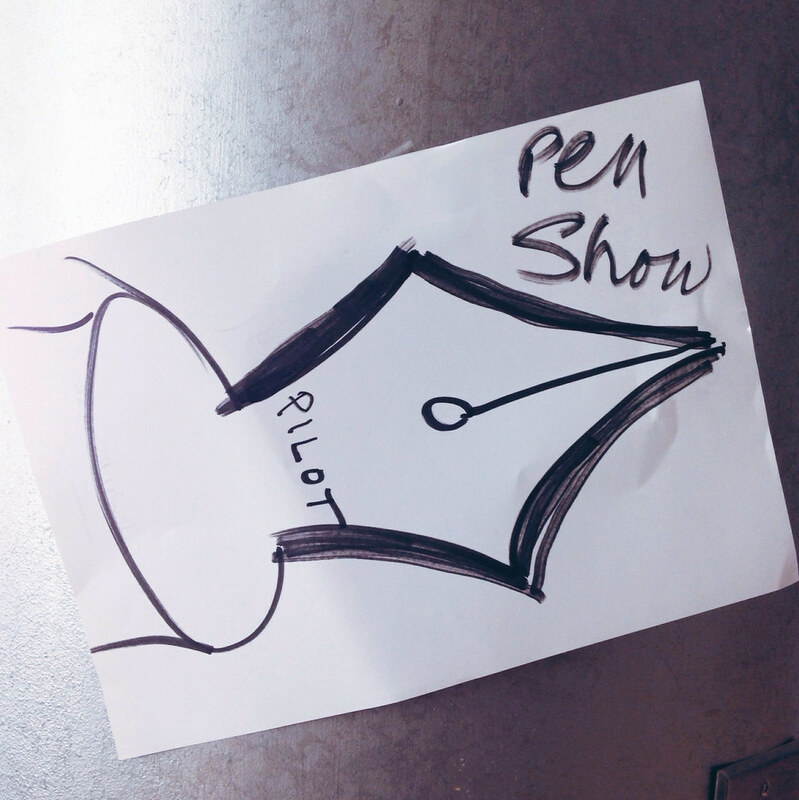 Mr. Pentulant and I decided to head down to the SF Pen Show over the weekend (Saturday) and I thought you’d like to hear all about it. The show was held at the Sofitel Hotel in Redwood City. 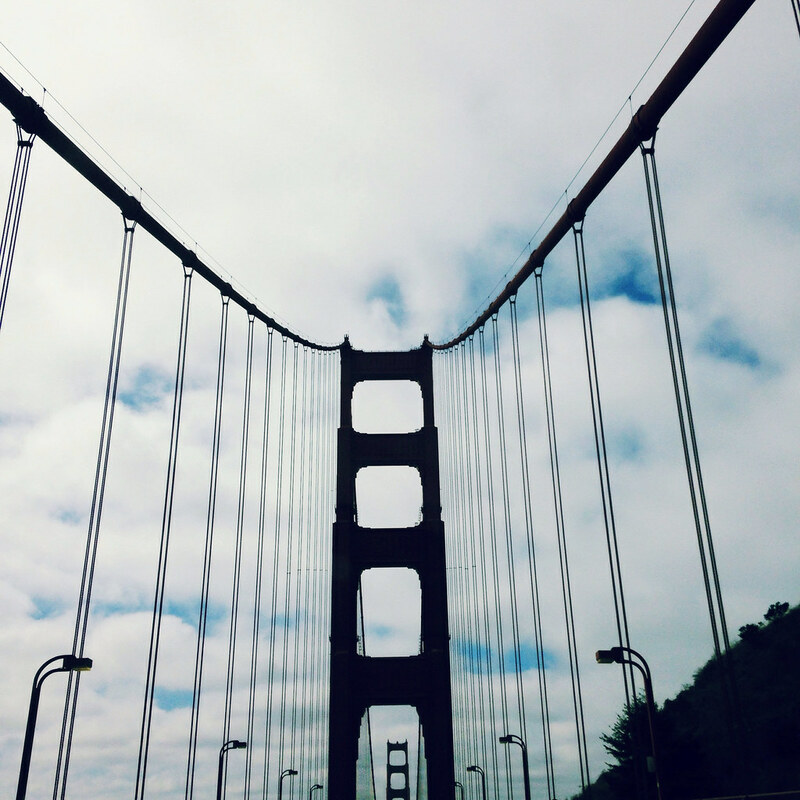 It was a bit south of SFO, but easy enough to find – just look for the Oracle campus and take a right on Twin Dolphin Drive. There were probably 50-60 vendors. I’m wondering if some who were expected didn’t show up? There was a large empty area to the right as soon as we entered – as in about 10-15% of the floor space. I wasn’t too surprised at the small size of the show. The DC Pen Show was just two weeks ago, after all. The crowd was decent Saturday morning (we arrived around 11:00) and it looked like money was changing hands – all good news. 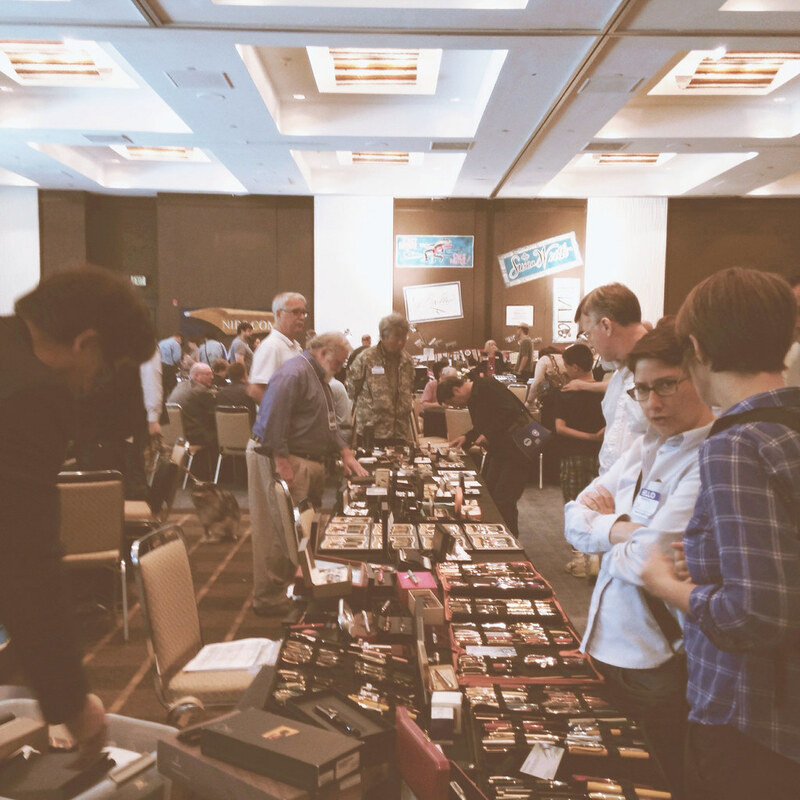 The SF Pen Show is a on/off thing – meaning that some years there isn’t a show. I’m so glad it was on this year and definitely wanted to support the vendors who showed up to sell. There were many familiar names and faces. Susan Wirth was there, Franklin-Christoph, Nibs.com, Mike it Work, Wahl-Eversharp, Bittner, Arizona Pens, Carmen Rivera, Steve Curnow, and many familiar faces even though I don’t know all of the names. Here’s what I ended up with . . .
I’m a huge fan of my friend Steve Curnow, what he does, and how he does it. 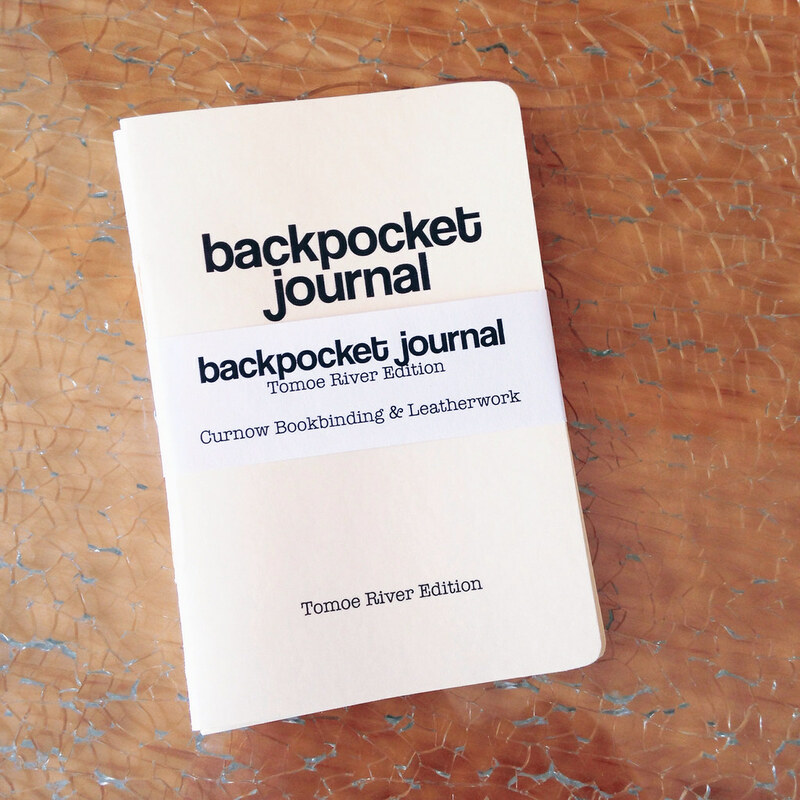 These handy notebooks (think Field Notes, but better) are filled with Tomoe River Paper. Three notebooks for ten bucks, yo. Steve also had a sample of ink waiting for me. 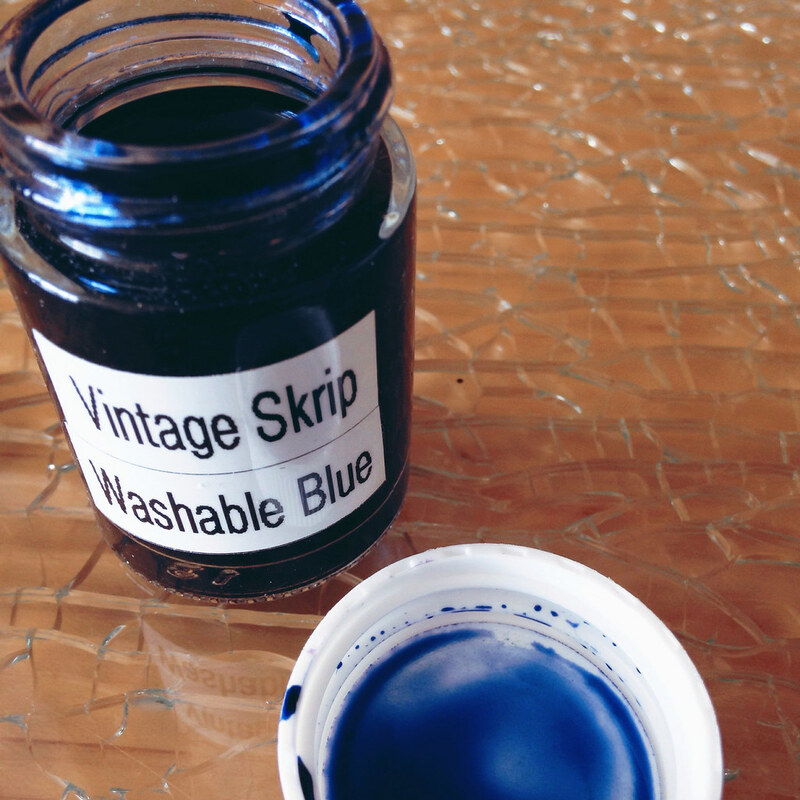 It seems he found a GALLON of vintage Skrip Washable Blue. 2. 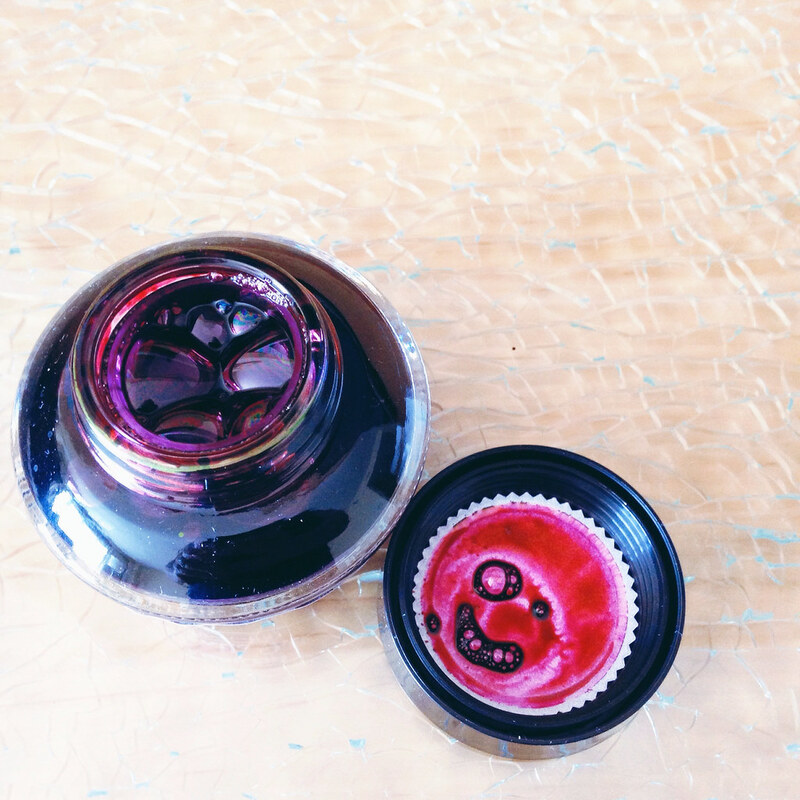 Do I trust this old old ink in one of my fancy pens? 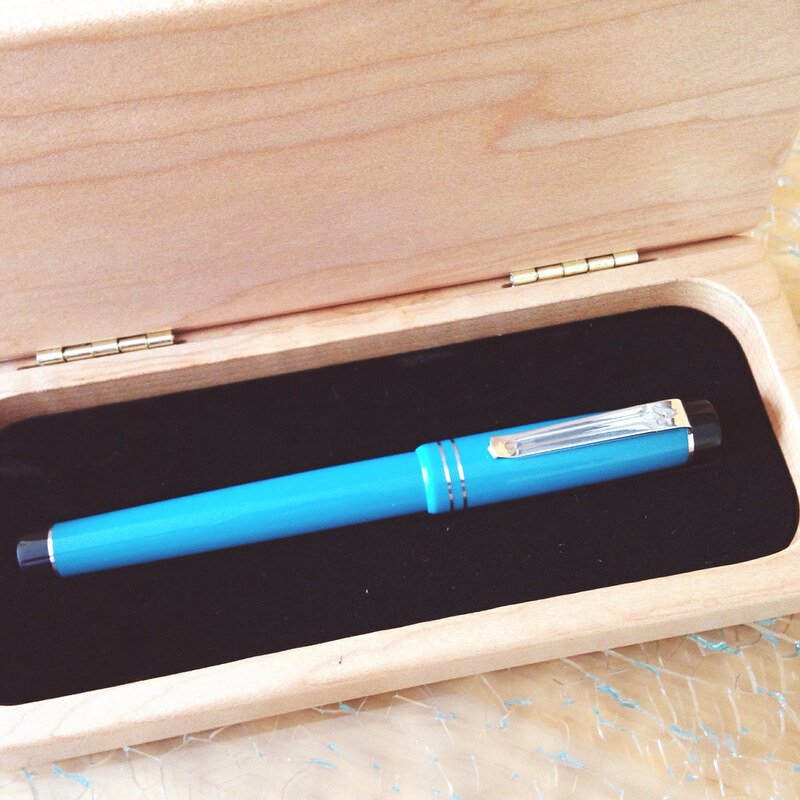 Mr. Pentulant scored this sweet Sailor Pro Gear Mini. He loves a cap that screws to post and this one has been on his wish list for quite awhile. At the LA Pen Show earlier this year, I was so tempted by George Butcher’s Arizona Pens, but ultimately decided to pass. I didn’t pass this time! I want to tell you all about George and his pens, but will save that for when I review the pen. I can’t wait. Carmen Rivera has very good taste in pens. 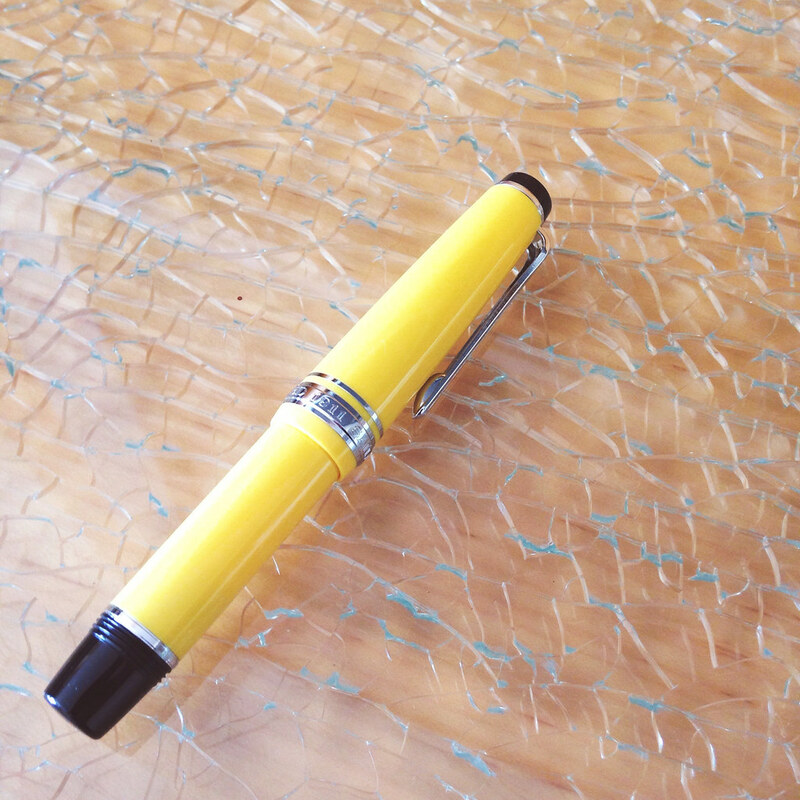 This is the smaller and slimmer version of the Pilot Vanishing Point – called the Sesenta. Wahl-Eversharp has an interesting history and it was difficult to choose just one. 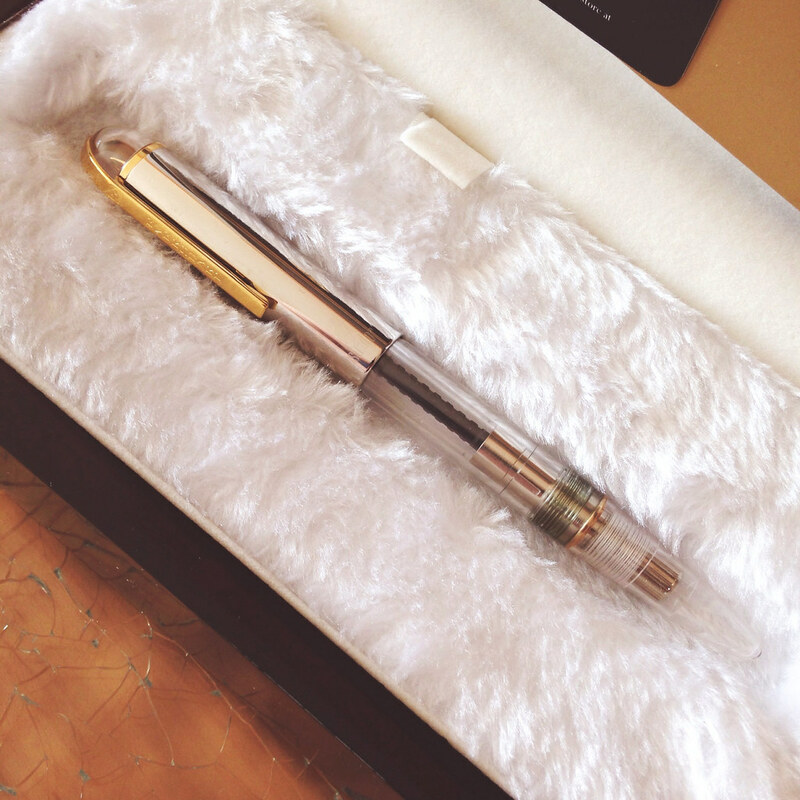 I’m really excited about this pen – and so many others in line. Can’t wait to talk more about them and Syd Saperstein. I ultimately decided on the clear demonstrator (look at that packaging!). Lierre Sauvage (and Lily Tomlin) is responsible for one of my most popular Instagram posts ever. At the time of that writing, I only had a sample. 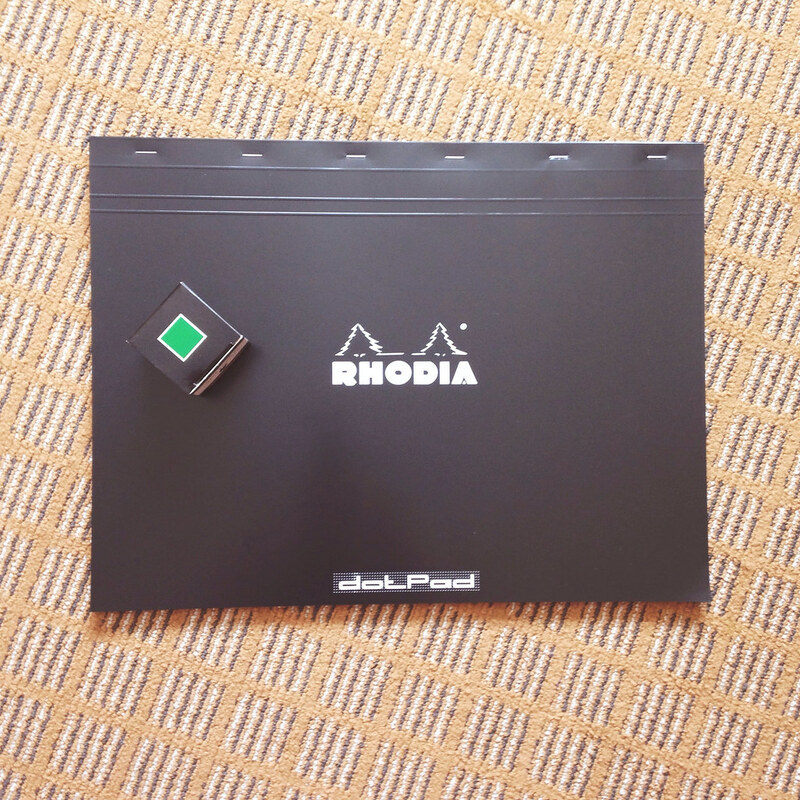 Excited about writing a complete review of this one for you. 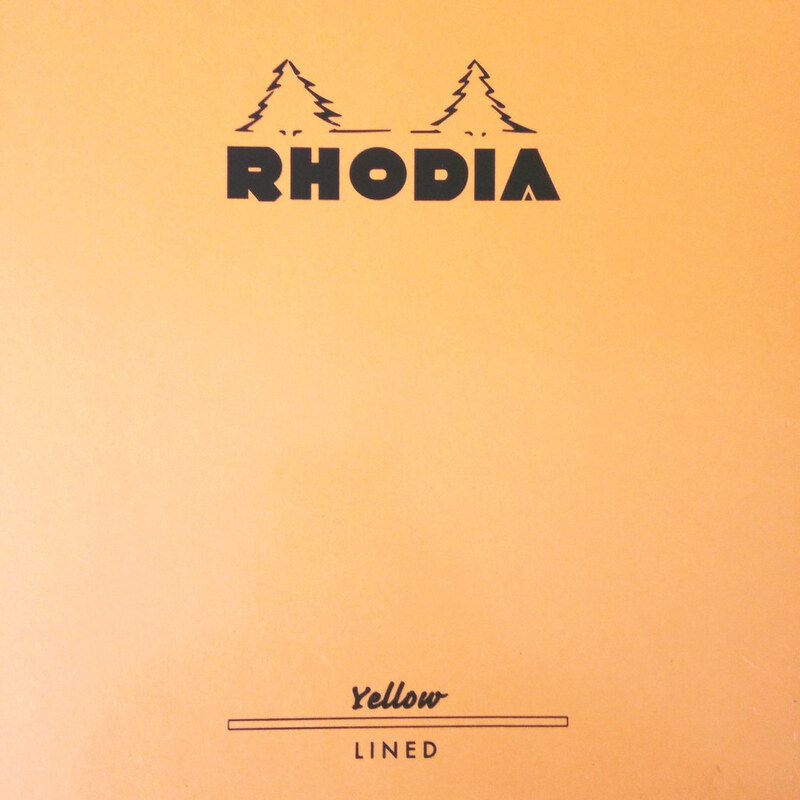 Rhodia makes yellow paper! I’m oddly excited about this because I’ve never seen it available. Annnnd….I have no idea what I’m going to do with the paper below, but I had to have it. 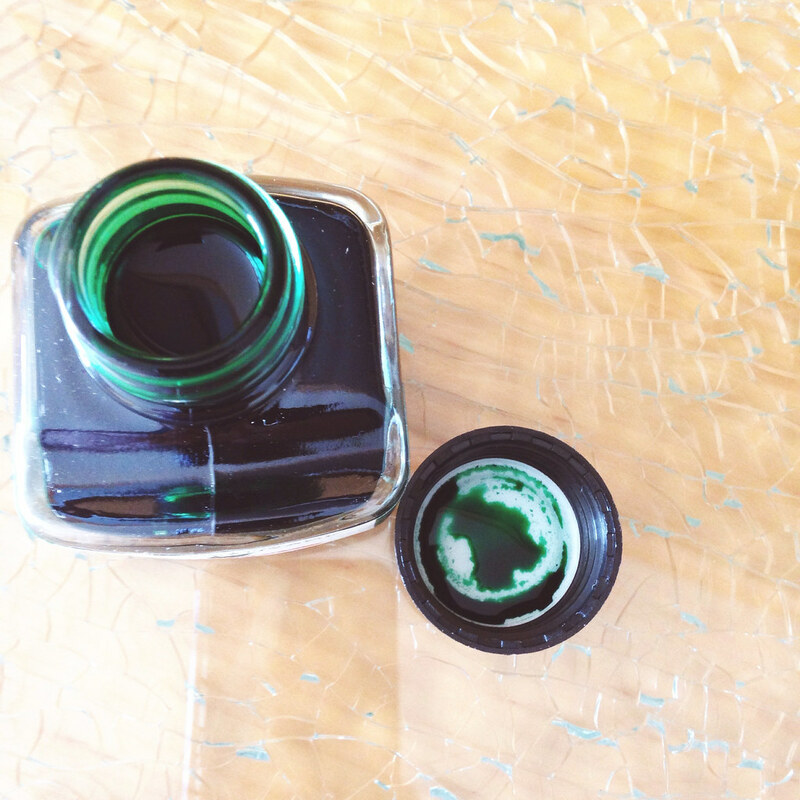 It’s huuuuuge – that’s a box of J Herbin ink sitting on top of the paper. Bottom Line: It was a good time, lots of super-friendly people selling some really beautiful items. I only wish the show was bigger. This entry was posted in PAPER and tagged curnow, j herbin, pen show, pilot, rhodia, sailor jentle, wahl eversharp by Christine (Pentulant). Bookmark the permalink. Thanks for the virtual tour. Little bit of a drive from FL so I passed this year, and next. Looks like you did very well. I especially like the smiley face in the cap of the grenade. I'm sure that was intentional! Haha I totally thought that looked like a smiley face too! I enjoyed the show, but I have to say I was somewhat disappointed by the many vendors not letting anyone dip their pens and try them out. With internet prices almost always beating out those of the vendors, what's the upside in paying more when I don't even have an assurance that the pen will write like I need it to? Very disappointing, and especially so for the older pens whose uniformity of quality is difficult to guess. I, did, however, spend lots of time with the vendors who let me try out their pens and ultimately bought those. I bought a pen at the pen show that ended up constantly leaking everywhere, even after keeping it upright while not in use. Problem is I don't know which vendor I bought it from I didn't get any paperwork. Any idea what I can do? Haha. Didn't even notice. So funny! An interesting point. I know a few of the vendors really encourage sitting down and trying inked pens. 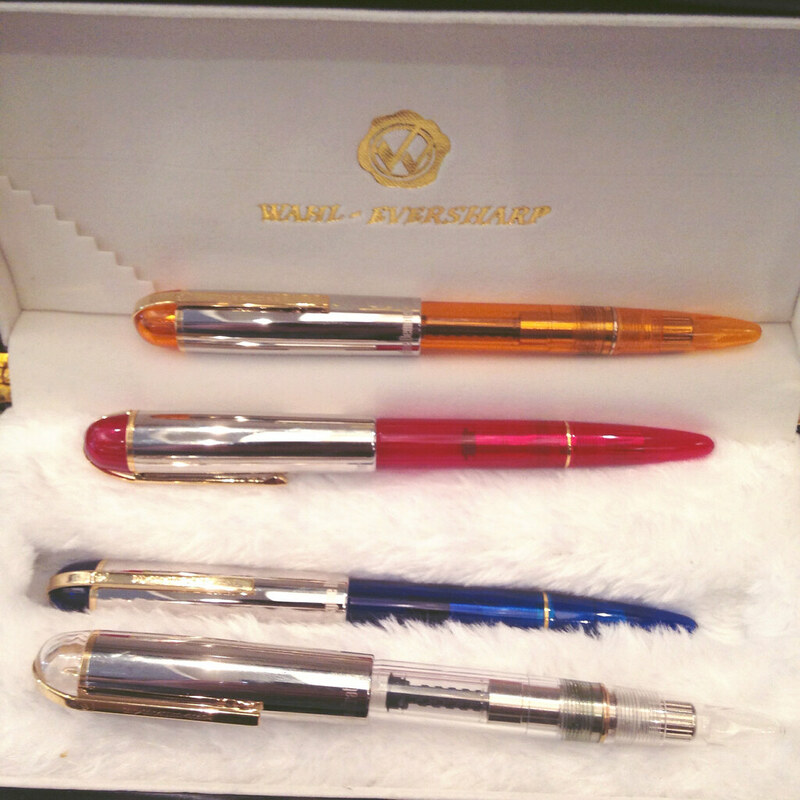 Susan Wirth, Wahl-Eversharp, and Arozona Pens among them. Some let the customer dip, but I don't see much benefit in that. And others allow looking only. Ugh. How terrible for you. If the pen has a converter, make certain the converter is seated quite firmly in the nib unit. Also, maybe try a new converter. 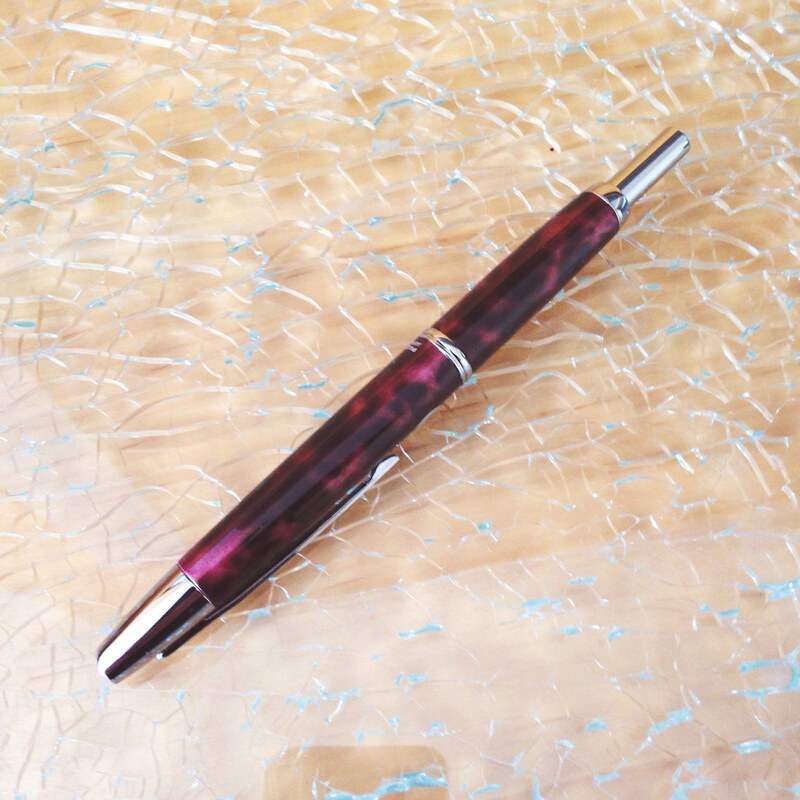 If the pen is piston, lever, or if the above doesn't help, you may need to send it off for repairs. So sorry you have had a bad experience. I do ask all of the vendors for thei business cards in case I have questions later. But I know that won't help you right now. Unfortunately it's button filler Parker from 1941, so not something I can take apart and tinker with on my own 🙁 I really should have asked for a card. It was silly not to. It's got a great nib on it, but sadly leaks like crazy from the part where the nib and feed are inserted into the pen body. thanks! I did find the vendor by perusing someone else's photos of the show! Replying to the correct thread this time 🙂 I'm sorry your pen is not happy. If you could identify the vendor if you saw a photo, there are many pics of the show floating around, and FP folks can probably identify the vendor and help you get in touch with them. Otherwise, if you're in the SFBA, see if you can bring the pen to the next pen posse meeting– someone should be able to help you out. Also, pen posse? That sounds awesome! Where can I learn more about that? 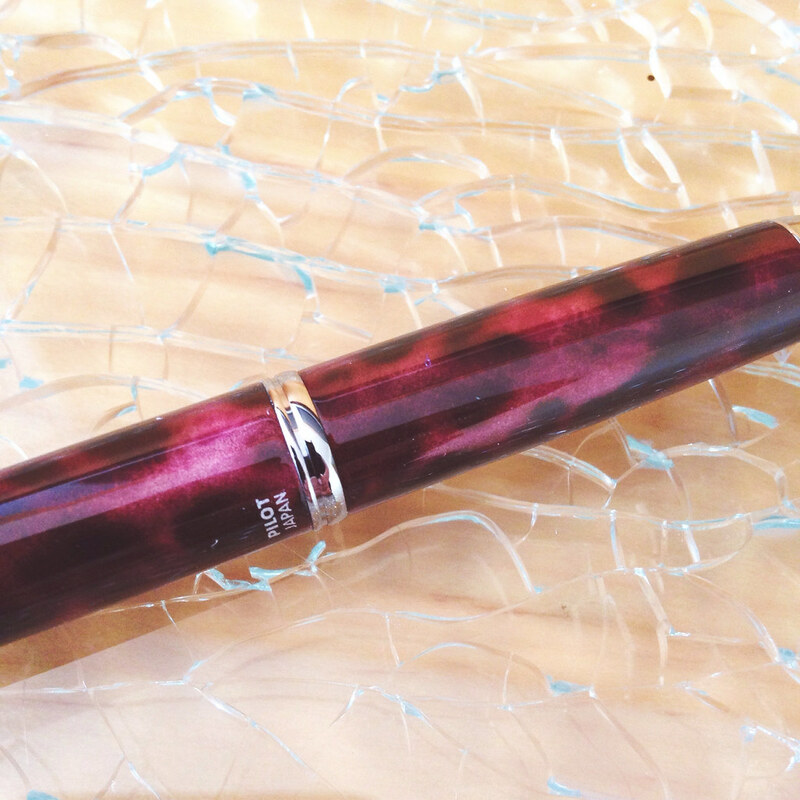 We let customers try all our pens at the show, even a new old stock Parker 180 that hadn't ever seen ink. That is really generous of you, Teri. I don't know how I missed you and Peyton Street Pens at the show! The blue Arizona looks GORGEOUS!!!! Love me some bright teal in that pen!! Is there a place that tells where “pen shows” are happening around the country? OMGosh how fun would that be!!! !